Organic fabric magical garden. Waldorf inspired fabric in red and green. Certified organic Cotton by 1/2 meter. 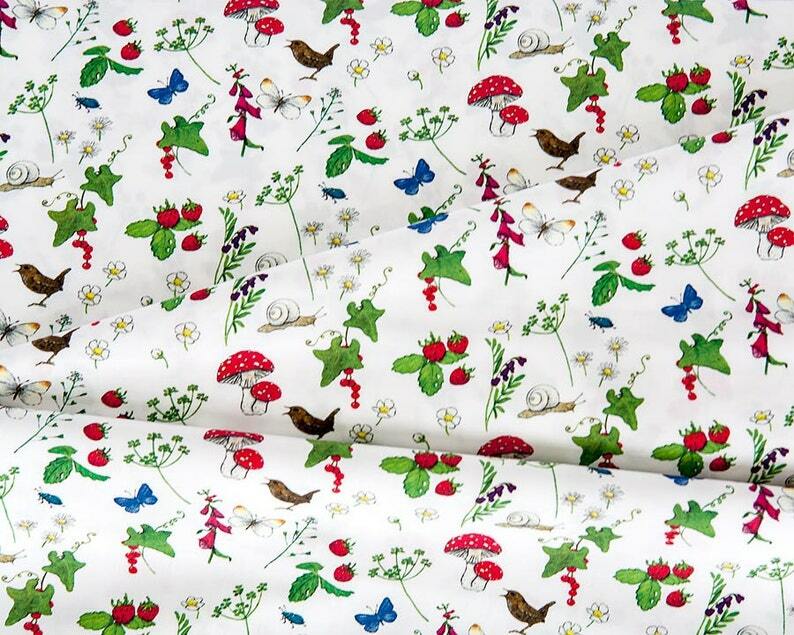 Fine organic Poplin - 8011 Zaubergarten by C. Paul with birds, mushrooms, flowers, etc. This enchanting fabric will be perfect for shirts, dresses as well as home decor. Unit: sold by the 1/2 meter (0.55 yd, a little bit over a half yard) - Please contract me if you wish to get a specific length. Please choose 2 for a whole meter/yard. Beautiful fabric, high quality and great colours. Beautiful fabric and quick shipment. Good quality. Very happy with it.